Product range specifically studied for styrenics polymers. 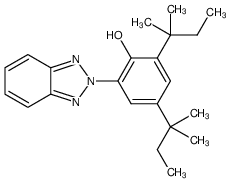 UV absorber containing benzotriazole, suitable for PS, PO, PUR, PVC. UV absorber containing benzotriazole, suitable for PS, PET, PAM, PAC, PVC.